Just like the 12 days of Christmas, we have 12 (Ok, maybe not so many) crucial parts of our day. From the time we wake up in the morning, to the commute to work, daily grind, lunch and breaks, after-work events, and wind-down time, tech can play an integral role. Here are some great tech gift ideas for the working person on your list, who could use some help through each part of his day. 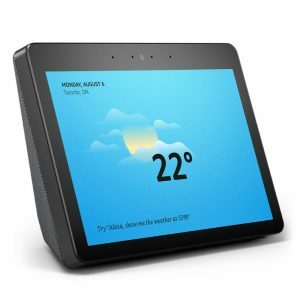 A device like the Amazon Echo Show ($300) can come in handy during a morning routine. Use it as an alarm clock to wake up to in the morning, get details on the weather, news headlines, and traffic reports, all via voice while getting ready to start the day. Plus, use it to play favourite pick-me-up tunes, and get ready to tackle the day with renewed energy. Sure, everyone has a smartphone and laptop. But instead of delving right into work, use commute time, whether it’s by train or when traveling by plane to an early morning meeting, to relax with tunes. A good pair of headphones like the Audio-Technica ATH-M50xBT ($280) can help anyone relax and melt stresses away while gearing up for a big day at the office. They can run wirelessly for up to 40 hours per charge, so there’s no worry about having to run wires through a warm and bulky winter jacket. Fold them flat to pop into a bag or briefcase once done, and use buttons on the left earcup to answer incoming calls, control music playback, and adjust the volume. There’s also a touch control for accessing voice assistants from a connected smartphone. Once at work, a smartphone is essential – especially for those who are often out and about in meetings, or working remotely. 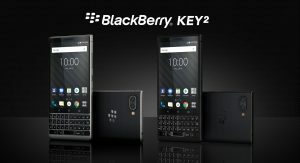 The BlackBerry KEY2 (unlocked for $799) is a nice option that allows for maximum productivity, thanks to features like expandable storage via an optional microSD card (it comes in 64GB and 128GB variants), the 4.5” touch display, and Smart Keyboard with customizable shortcuts. 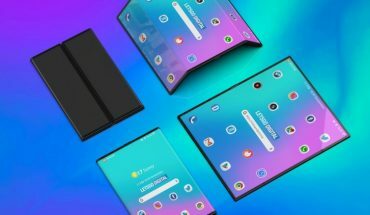 Plus, a businessperson will appreciate the iron-clad security features, like a keyboard-embedded fingerprint sensor, DTEK by BlackBerry security monitoring, and Android security updates every month. Enter for your chance to win one here. After (or even before) a long workday, many people like to unwind (or gear up) with a run or workout at the gym. Or maybe a brisk walk back to the train station or subway is all the doctor ordered. A fitness tracker like the Fitbit Charge 3 ($200) would be a great gift, allowing the person to track activities, ensure they reach target heart rates, meet goals for daily step counts, and get enough sleep. Reminders to Move also encourage the wearer to get up and walk about during the day to maintain good health. The battery can last for up to a week, which is great for busy professionals. Once dinner is done, kids are in bed, and they’ve prepared for the day ahead, help them unwind with a good book. The Kobo Forma ($300) is great because it can store tons of ebooks for catching up with a current favourite, or other titles, not only when it’s time to unwind with hot cocoa or a glass of wine at the end of the day, but also during commutes, lunch breaks, and more. Plus, it’s waterproof, making it great to use at the end of the day when you unwind by the hotel pool during a work trip. 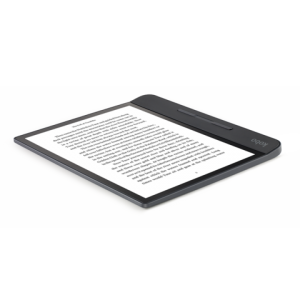 Enter for your chance to win a Kobo Forma 8″ Digital eBook Reader with WhatsYourTech.